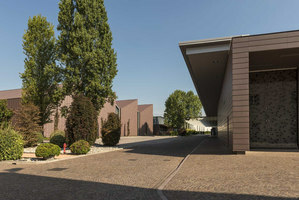 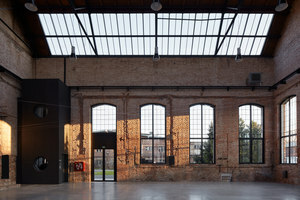 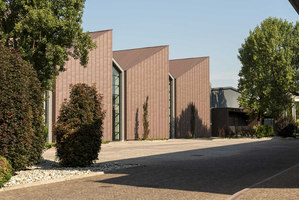 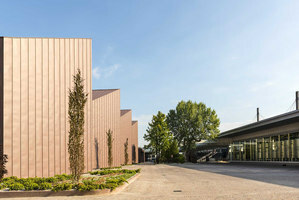 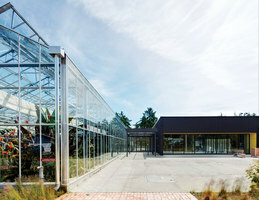 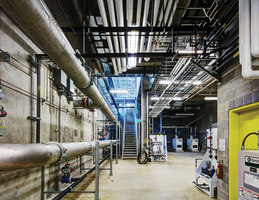 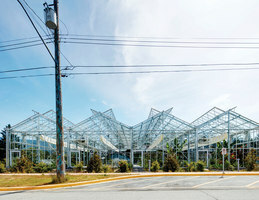 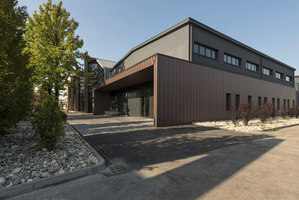 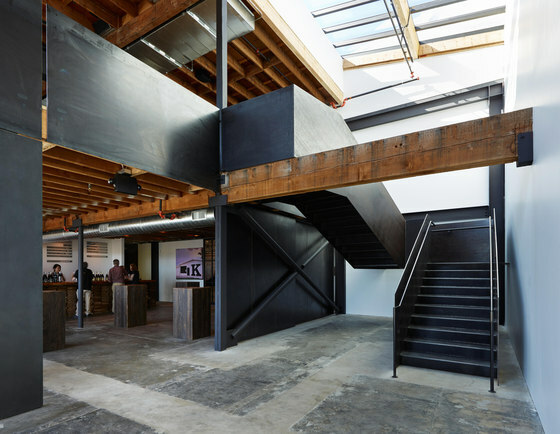 The former 32,000 square-foot building is composed of two structures, a two-floor office building and a contiguous open-structure steel truss warehouse. 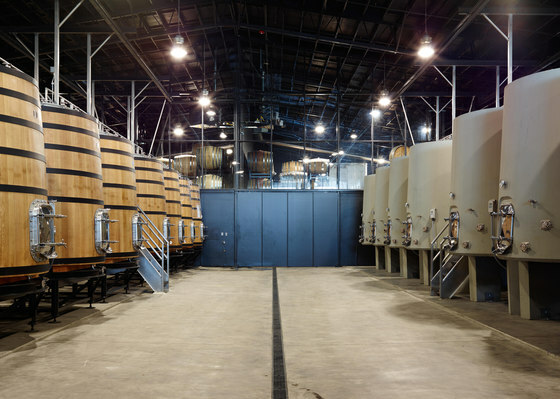 Together, they provide space for everything from grape crush to barrel storage and bottling, to tasting rooms and sales. 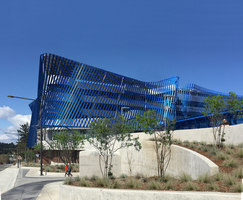 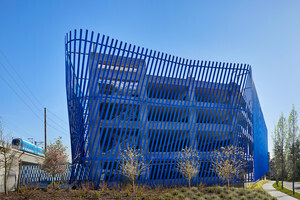 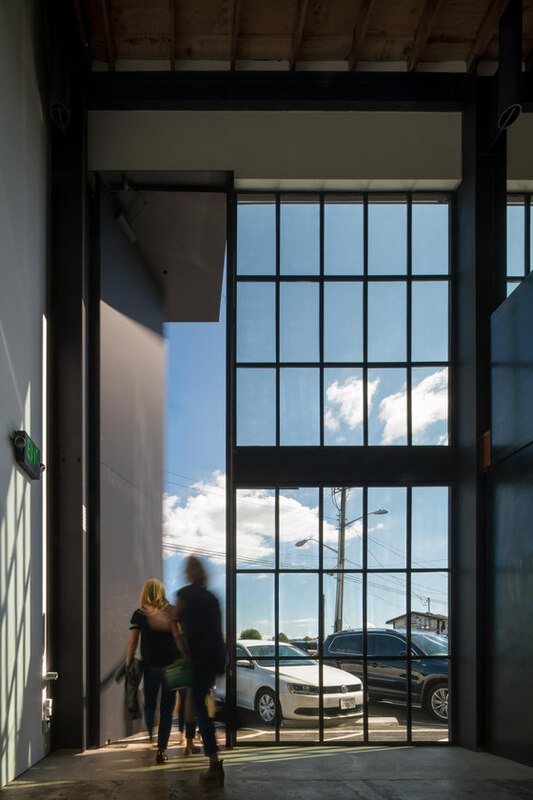 The transformation of this 1960s era building involved the removal of a portion of the exterior street-side façade replacing it with a 19x60-foot span of windows, opening the building up to the neighborhood and views. 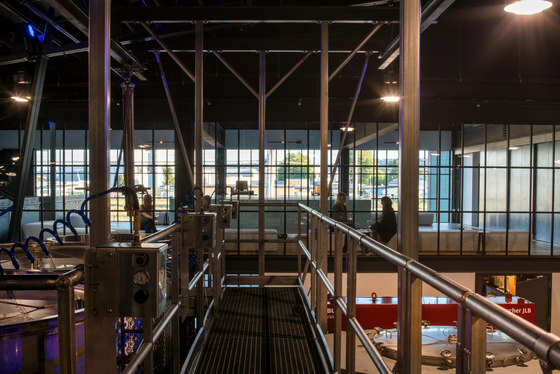 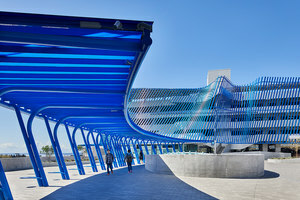 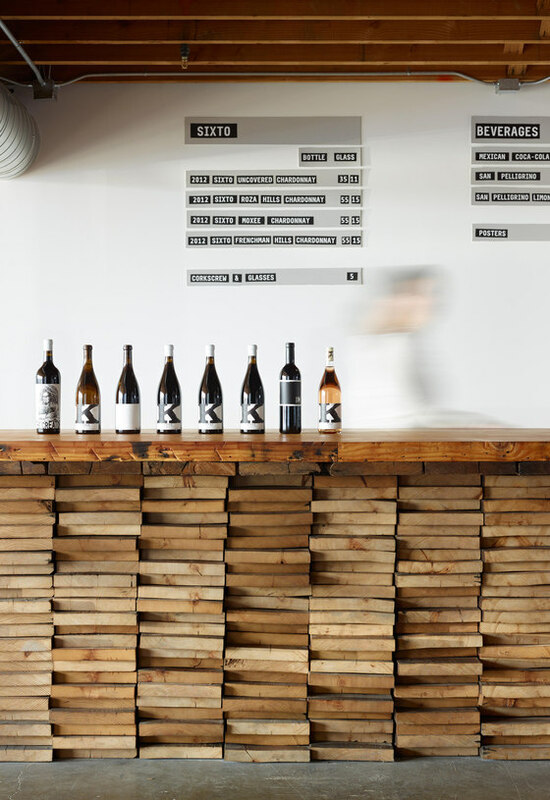 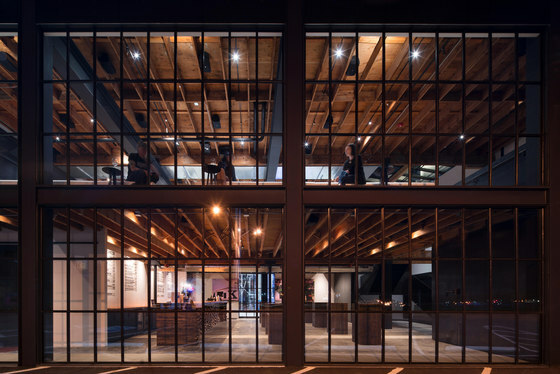 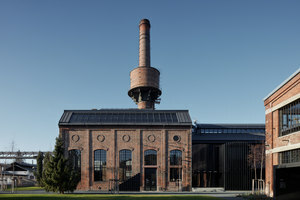 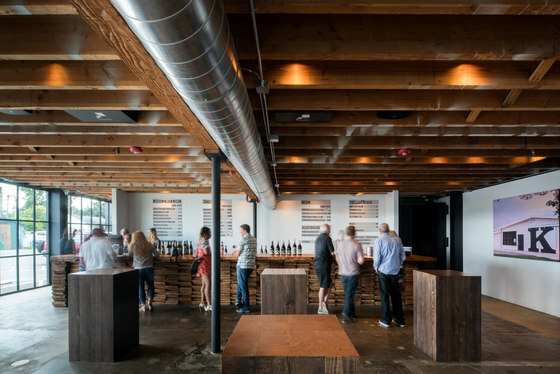 Once through the twenty-foot-tall steel entry door, visitors have the choice of two tasting rooms. 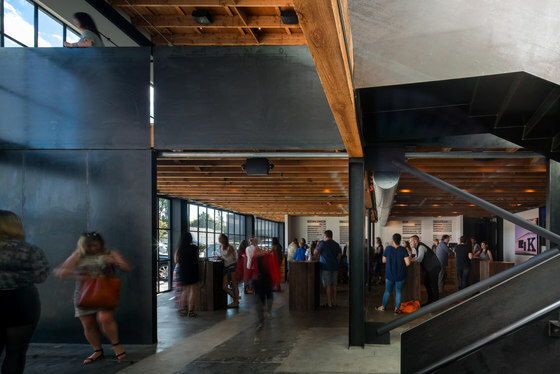 The rustic, entry-level lounge features polished concrete floors, exposed wood joists, sliding black steel wall panels, wood cocktail tables made from laminated salvaged 6 x 6’s, and a bar made of stacked, salvaged wood. 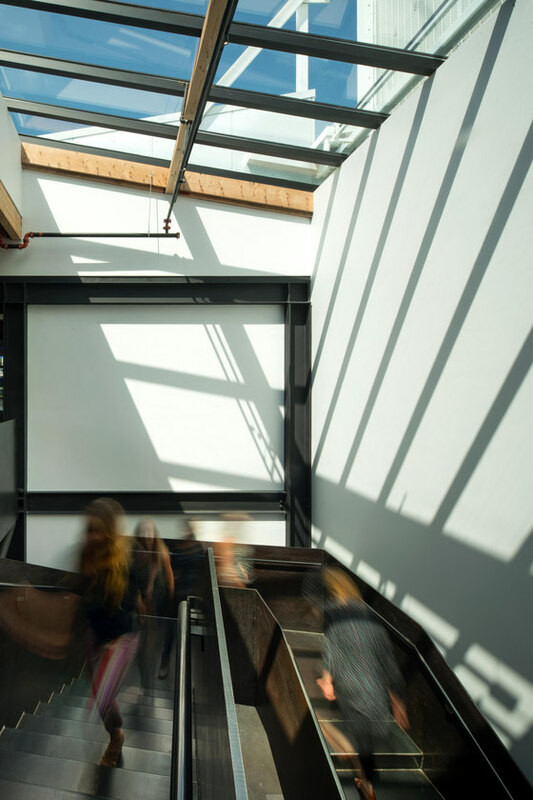 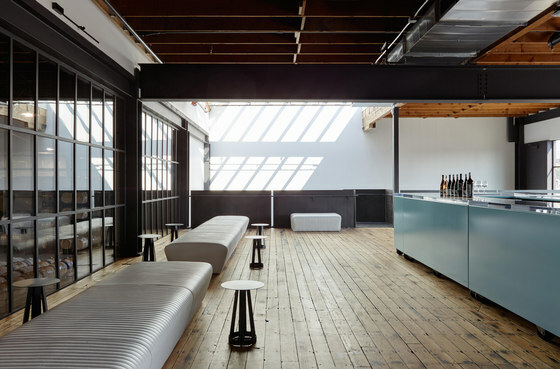 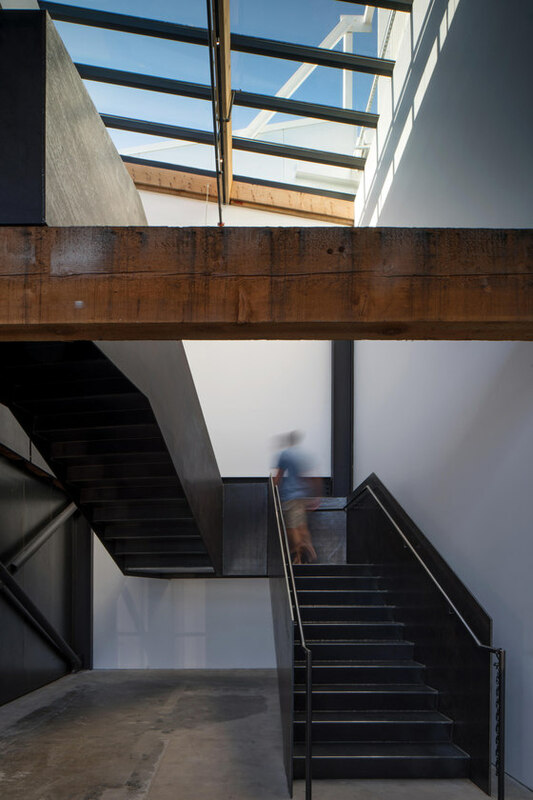 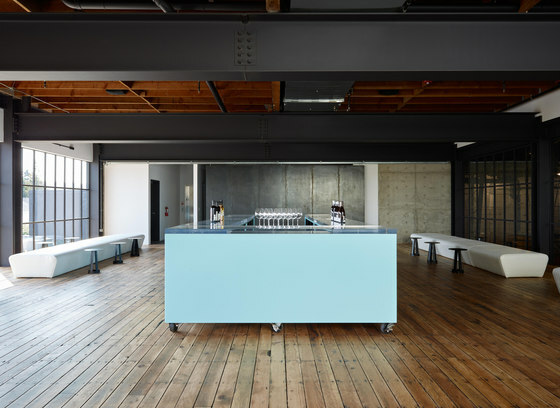 A plate-steel staircase inserted into the original structure connects the first-floor lounge to the expansive second-floor tasting room. 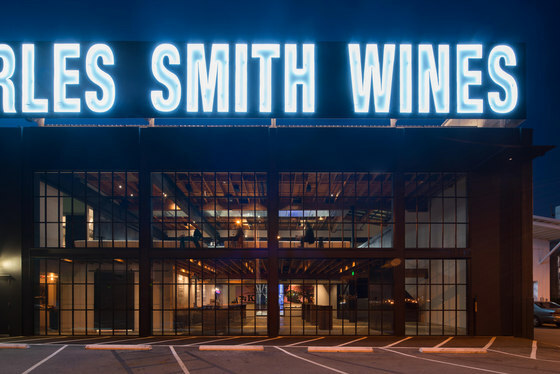 The winery’s second story effectively captures an early 1960s aviation vibe with its original wood floor planks, white tuck-and-roll upholstered perimeter seating, and center stage powder-blue Lucite-topped bar on wheels. 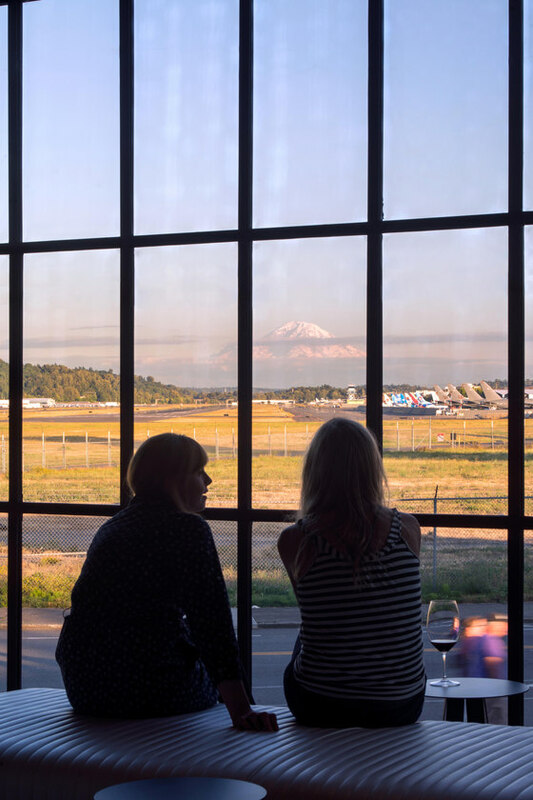 This tasting room overlooks the runways of Boeing Field and provides dramatic views of Mt. 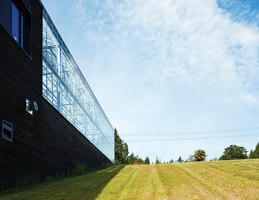 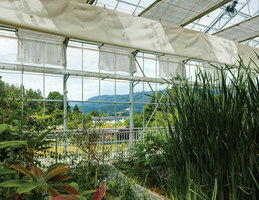 Rainier, while a second set of interior windows allows guests to view the winemaking process.